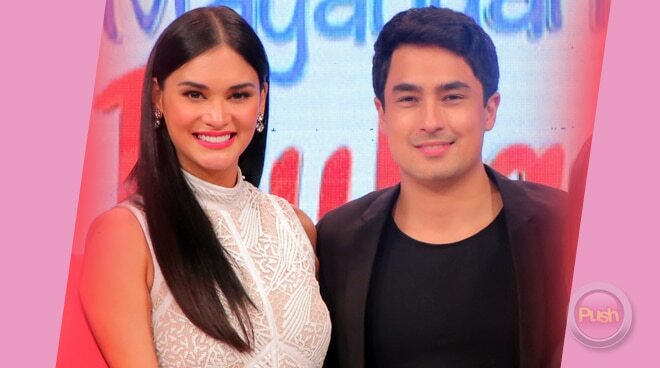 Are Pia Wurtzbach and Marlon Stockinger getting married soon? Miss Universe 2015 Pia Wutzbach said she and boyfriend Marlon Stockinger have talked about marriage and their plans to settle down but she added that it won't be happening anytime soon. Pia and Marlon went to Magandang Buhay recently and opened up about their relationship and where it's headed. Pia said she did not go into a relationship just for a short-term thing. “I'm looking for somebody I can potentially have a future with,” the beauty queen said. Marlon added his thoughts on focusing on the present so they could have their fairytale ending. “If you want to have the fairytale ending, you should always focus on the story you are writing right now,” the 26-year-old Filipino-Swiss racing driver said. The couple also shared how their story started on Instagram with Pia liking a couple of Marlon's photos and following him. After months of just talking on the phone and online, Marlon went to New York to see her. “You followed me and I followed you to New York,” Marlon sweetly said.